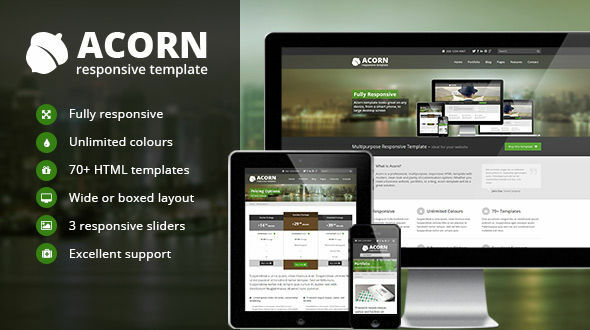 Acorn is a professional, multipurpose, responsive HTML5 template. It has modern, clean look and plenty customisation options. Whether you need a business website, portfolio, or a blog, Acorn template will be a great solution. Content boxes: callouts, features, etc.